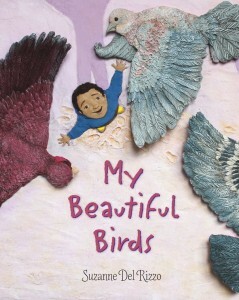 “My Beautiful Birds, written and illustrated by Suzanne Del Rizzo, is a beautiful book that will help get your child reading…. This is a good book to read to your child as a bedtime story. 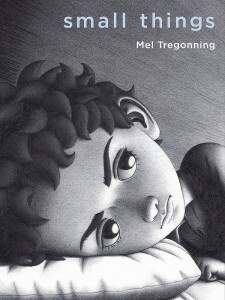 The way language is used in the book is beautifully poetic, and even soothing…. [The language use] will get your child hooked on reading, as they realize that a vivid image can be painted in their head from just a simple line or paragraph. The child won’t be able to wait until the next plot advancement or change in scenery. …Also, this story tells a tale that could have taken hundreds of pages, and beautifully condenses it into 32 pages. “…With its elegant prose and beautiful clay illustrations, this book tells a timely story through the voice of a Syrian refugee. It is important to provide readers with perspectives different than their own, and this book may be particularly relevant for Canadian readers due to the influx of Syrian refugees into Canada. My Beautiful Birds is a very well-executed book that provides a window into the life of a refugee while also being a pleasure to read.